LA-style burgers from an ex-souvlaki shop chef. 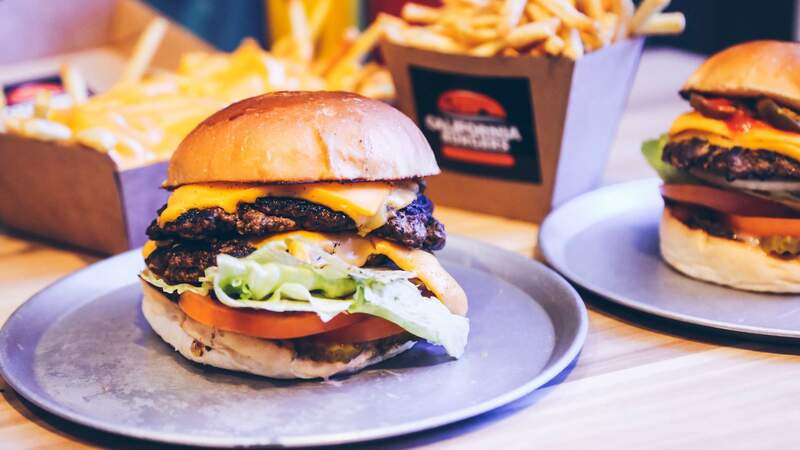 Chances are, you wrapped your mouth around one of Theo Tzavaras' California Burgers creations long before they found their current home on Chapel Street. After all, the USA-inspired eats have been winning fans since way back in 2009, when they first starred on a secret menu at Tzavaras' souvlaki shop. But now — with proper digs to its name — the California Burgers concept remains the same: fresh LA-style burgers that you'll remember long after the last bite. Here, a short-but-sweet menu pays homage to America's cult classics, so expect renditions like The Compton, with spicy fried chicken and Sriracha, The Malibu with a smashed turkey patty, and the beefed-up LAX, which doubles down on the meat and cheese. A little slice of California dreaming, right here in Melbourne.